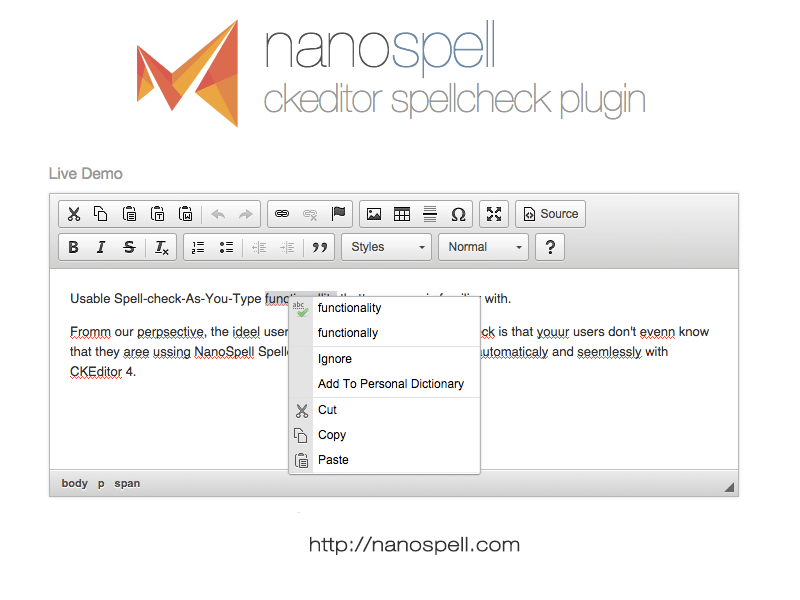 CKEditor SpellCheck from nanospell.com is an high quality 3rd Party spellchecker CKEditor. The spell checker is easy to install on any modern web hosting which supports PHP, ASP, ASP.Net or JAVA. The CKEditor SpellChecker does not display ads never sends your data to remote servers for processing. You don`t need to be an expert in web design to make a fantastic dropdown menu navigation. Now you can easily make professionally built drop down menus with cool effects for your web site with these ready-to-use templates.